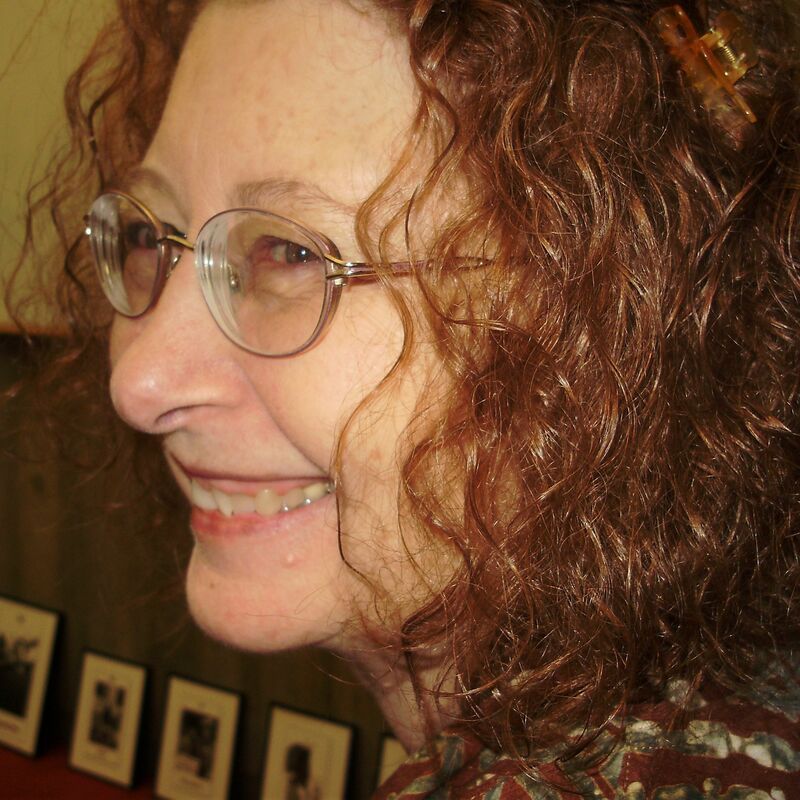 MARY K. GREER: Hi, I’m Mary Greer, I am a teacher, writer and tarot reader. I use tarot cards as a tool for personal insight and creativity, and I do tarot readings with others to assist them in accessing their own wisdom around their personal issues. My latest book is Who Are You in the Tarot? It is a revised and expanded version of my earlier book, Tarot Constellations that teaches you how to find Tarot cards that are personal to you, your family, friends and clients based on birth date, name and the current year, along with court card significators. It also includes descriptions of each of these and methods for working with your cards to learn more about them, yourself and others. ENRIQUE ENRIQUEZ: There is a moment before we know, and then there is The Moment we know. There may be a fraction of a second apart, and even so, they define two completely different realities. When did you know this was the book you needed to write and why? ENRIQUE ENRIQUEZ: What can you tell me about your process? How do you write your books? MARY K. GREER: Each book is different. After writing my first three books I taught a lot of classes on how to write a non-fiction New Age book (which seemed to fit the broadest category I could speak to). Now I realize how different each book can be. Essentially I find that if I write about whatever excites me most, eventually everything becomes exciting at some point, even if only because, once I finish that piece, the section will be done. Mostly I write at the computer and, if I feel stuck, I tell myself to start anywhere—even in mid-thought. I also allow myself to use crutch words or phrases, like “it’s very, very important to remember that,” because, if I try to censor them, I’ll freeze up. They are so easy to take out later. I rewrite a lot. My ex-husband, travel-writer, Ed Buryn, edited all my earlier books and essentially taught me how to write, which my M.A. in English hadn’t succeeded in doing. I use all kinds of tricks, like writing a difficult passage as a letter to someone or bitching about my pet peeves so that I can eventually discover what I really do like and believe in—often handwriting these and then just incorporating the good parts. I’ve found the book proposal process that most publishers demand to be a great help in the early stages of figuring out what I need to know (who my audience is, how my book is similar and different to others, etc. ), organizing and outlining the book, and much more. I suggest downloading publisher book proposal instructions and filling them out in the early stages of your book writing process. ENRIQUE ENRIQUEZ: You have been writing and publishing, for a couple of decades now. Perhaps you started at a time when the boundaries between authors and reader was more clear. Now everybody’s thoughts can be read. Everybody has a workshop to teach, a ‘method’ to share and some ‘expertise’ to cash on. We are all Facebook experts. Do you feel in any particular way about that? Does this makes your work easier, more difficult, or different in any way? MARY K. GREER: Generally speaking I think it’s great. We all get to share what we know. Hearing from others keeps breaking open my unconscious assumptions and helps me to see things in new and different ways. Perhaps the only thing that is disconcerting is that anyone back in the 1980s who was well-read regarding tarot books knew who had initiated fresh perspectives. Now material gets passed around endlessly and old material gets presented as new proprietary ideas with no regard to what came before. On one hand there is a mad grab for “ownership” and on the other hand there is total disregard for acknowledgement of the hard work done by others. It is true that people will continually re-invent certain classic ideas, or may have heard something briefly from which they spun their own take. On the whole, though, I think we benefit greatly from an international community who are often very generous with their work. I must say, though, that to keep up is becoming more and more difficult and time-consuming. Eeek! ENRIQUE ENRIQUEZ: Do the readers create a (need for) a book, or is it the book the one that creates its readers? MARY K. GREER: Both. A lot of times I’ve discovered through experiments in classes that there are things that people need that they don’t even know about or may have rejected as a possibility out of misguided assumptions. Before the 1980s almost all books on the tarot said you shouldn’t read the cards for yourself, yet everybody I knew did (guiltly). I was also teaching classes at a college on personal journal techniques and on learning skills (that used step-by-step workbooks). They seemed a perfect fit to me and precipitated one of those “moments” you mentioned earlier. I could see how to use these skills and methods to turn problems with reading for yourself into benefits. In fact, a major theme in all my writing has been how do we safely turn taboos into insights by going deeper into something than we would if we avoided it out of a little understood fear? I also looked through a lot of books to find a “voice” that seemed natural to me and sounded as if the author were speaking directly to me as a friend. My idea was to share with other people the things that turned me on the most. I wanted to push as many boundaries as I could in myself. I also wanted people to experience these things for themselves—not just read about them. I accepted then, as I do now, that not everyone is going to like this approach. ENRIQUE ENRIQUEZ: Are “year cards” and “Birth Cards” similar to a “Significator” card? MARY K. GREER: Certainly, any card that a person identifies with can be used to signify that person in a reading. In spreads, where the significator is left in the pack and so can turn up anywhere in a spread (or not), then its placement is usually important and may indicate a dividing line between past and present or it can indicate that cards nearest it are most important. I talk a little about significators in my book but it is not a major emphasis. Any time someone sees a card they relate to personally in a spread they tend to pay extra attention to what it’s doing. I make a lot of suggestions in my book for how you can use special cards on their own for contemplation as well as how you can make use of them in readings. ENRIQUE ENRIQUEZ: Does a Birth Card show us our destiny, or is it showing us a destination? Is there a difference? MARY K. GREER: No, I don’t believe a Birth Card shows a particular destination. I describe the Soul Card as pointing to something we need in order to feel a sense of fulfillment. Fate, fortune and destiny are often used interchangeably and each has been defined differently through the ages. As I see it, fate is marked by where we’ve come from. It’s all the habits, personality characteristics, emotional and chemical reactions that are part of our history, body, psychology and DNA. Knowing the past, we can pretty much predict what a person is likely to do, like if I say, “I was fated to end up in California.” Fortune is what we encounter along the way. Destiny is an urge or longing that tends to pull us toward things, but there is no guarantee that we’ll get there (wherever ‘there’ is). In fact, I don’t think there is a single destiny/destination (for most of us, anyway). When fate and destiny collude/collide there’s usually a sense of having found either your purpose or destruction (as in ‘destined’ for a bad end). It’s not so much a destination as a fulfillment, to some degree, of potential. This is something I think about a lot but don’t fully understand—it’s still a mystery to me. ENRIQUE ENRIQUEZ: Why do you think so much about it? What is important about this? MARY K. GREER: I tend to think about tarot philosophically and any deep consideration of tarot is going to lead to an examination of chance and probability and get into questions of fate and free will. In fact, this summer’s Omega Tarot Conference that I organized with Rachel Pollack had the theme of “Fate and Free Will.” I am intrigued by the whole idea of fate, fortune/chance, free will, and destiny and where these ideas can take us. I even created a spread to examine how these four are operating in one’s life. It was inspired by a line from Dante’s Inferno: Se voler fu o destino o fortuna, non so (“if it was will or fate or chance, I do not know”—Canto 32). Well, I want to know. I like words and appreciate definitions; I think that the differences being designated can be important in understanding what we make of our lives. I get pleasure out of an elegant analysis, and sometimes I get pleasure out of letting go and not having to analyze anything. ENRIQUE ENRIQUEZ: I am interested in what you are saying because it seems to me that most of the knowledge produced in the tarot world circulates in the form of ‘recipes’. An idea seems to be of value only if you can go and “do it at home”. The ‘tarot author’ seems forced to channel Martha Stewart! People seem to want to know about methods, spreads, keys and things like that. How important is it to think about tarot philosophically? Is this something that comes down to each reader’s way to come to terms to the big Whys of what he or she is doing? How is that different from ‘belief’? MARY K. GREER: I try to keep my philosophical tarot mutterings to a minimum, because I find, personally, that unless philosophy is really eloquently and beautifully said and deeply profound, which I’m usually not, it’s not really worth the expression. One person’s philosophy is another person’s ramblings. Each reader and each client has their own perspective. Generally, I like philosophy to inform us of something relevant and useful, and therefore I like to ground a concept in some application to our daily lives. A spread is a good test of the principles I’m exploring and my ability to understand them. I often turn spiritual and philosophical statements from great teachers into spreads like the Dante one. Basically, I create a spread position for each significant word or phrase in a quote. It either becomes a spread that anyone can use for deep insight, or I discover it can only be understood with a lot of explanation (in which case I might not share it with others). Rarely, it will not work at all. This is different from ‘belief,’ in that I am ‘trying out’ the philosophy or ideas to see how my life looks from that perspective. I want to know if it leads to deep insights, greater well-being, compassionate understanding of myself and others, better choices and enhanced goals, etc. This also makes me a much more active reader. I tend to carry on conversations in my head with authors who inspire me, and tarot helps me do that. I should mention that, when doing a reading, I try to operate within the client’s own world view, unless I feel absolutely compelled to mention a particular conceptual framework because the cards keep screaming it at me. Of course, we are never totally free from our own philosophy, but I really question whether a client needs to hear about mine (occasionally they do). ENRIQUE ENRIQUEZ: I like to think of tarot readings as synthetic dreams. Sometimes in a dream we see ourselves as someone-something else. We know it is us, but at the same time it isn’t. There is a whole field of meaning between what we are and the way we see ourselves as “something else”. Do Birth Cards, or year cards, work like that? MARY K. GREER: Definitely they can. They give us a chance to try out a variety of perspectives. I may be a Hermit/Moon, but in a Wheel of Fortune year I get to ‘try on’ sensations of moving quickly, being more social or in the public eye, and may find that my words spread further afield. But all of these are only Personas that I put on in order to see what I look like in that garb, and this includes my Hermit/Moon self. It’s analogous to an element/figure that turns up in a great many dreams, to the extent that it’s well-known and comfortable, but I might not notice it as much as I do the new dream persona that alerts me with disturbing or unusual characteristics (like a Hermit being in a Wheel or Chariot Year). ENRIQUE ENRIQUEZ: Something that comes to mind is the zodiac-sign notion, where a specific symbol is “given” to us by the happenstance of our birth date. Somehow zodiac-signs allow us to explain ourselves away as a certain set of fixed personality traits. How do you see that dialogue between a tarot deck that is always in flow, always ready to give us a chance encounter with an image, and a birth-card, something that stays with us, something that is set for us by the biographical milestone of our own birth. MARY K. GREER: We respond to chance encounters in the moment of a reading. The card is viewed in relation to the immediate question and to other cards in the reading. With Birth Cards, we can continue to explore how they relate to us for our whole lives and can watch our special relationship to them evolve over time. Any system used for defining people can be limiting. That’s why I like looking at a multitude of systems—to get a fuller picture. They also help us articulate things we might not have been able to see or understand otherwise. Personality systems allow us to look at ourselves through a bunch of different colored glasses or different shaped mirrors. Each highlights something the others don’t see. One of the greatest benefits is to learn compassion for others through recognizing that others have ways of being and acting that are essentially different than our own. Seeing this in them helps us see such things in ourselves. For instance, I used to get furious when my Lovers Soul Card husband would make plans for “us” without asking me first. I came to realize that he was a “we-thinker,” whereas I, with my Hermit Soul Card, am an “I” thinker who decides on my own path and then may ask others if they want to join me. I assumed others should think and act the same way I did. But, my spouse was not being thoughtless or rude. He had different unconscious assumptions about relationships than I did. I also came to understand this part of my own automatic way of approaching things. Our Soul Cards gave us a way of recognizing, talking about, and respecting this dynamic. By the way, sun-sign astrology is terribly limiting and possibly the least interesting of all the information found in an astrology chart. Each element in each personality system reflects a specific aspect of self. Experience teaches you to recognize what these are. Furthermore, as a person becomes more conscious and aware, the kinds of things reflected tend to change because they can reflect a new level of meaning. For instance in a reading, Pentacles, for some people, represent shelter, food and money, while other people are secure in these and, therefore, respond at an more abstract level of security, worth and value. ENRIQUE ENRIQUEZ: I agree with you about zodiac-signs being fairly uninteresting, yet the idea seems simple enough to appeal to the vastest amount of people. The idea of a Birth Card also seems to fit in our long-to-belong. Do you find that people respond better to the images when they are framed as birth/year/soul cards than when they aren’t? MARY K. GREER: Actually I meant Sun Signs. Zodiac signs, in tropical astrology are simply symbolic divisions of the solar year mapping the location of planets in an astrological chart. I find the study of astrology and of one’s chart to be very rewarding. As to responding better to the tarot images as Birth Cards—some do and some don’t. I certainly don’t think everyone has to use this system! It’s only an option. I have noticed, however, that in beginner classes, it’s a wonderful way to get people quickly involved with the cards—first with their own personal cards and then expanding to those near and dear to them. Before you know it, they have a personal relationship with all the trump cards—they have seen them in action, so to speak. ENRIQUE ENRIQUEZ: How does the idea of Birth/Soul Card relate to Jung’s archetypes? MARY K. GREER: As is frequently pointed out, each of the Major Arcana relate to primordial ideas that Jung called archetypes. With Birth Cards, we get to see how the related archetypes align with our life direction and how that archetype symbolizes core patterns of growth and change. If it works for you, great! If it doesn’t, then find concepts that serve you better. ENRIQUE ENRIQUEZ: Is the ‘chance operation’ of picking a random card out of a deck the same kind of chance of picking a card based on our date of birth? MARY K. GREER: Not at all. “Chance” (if there is such a thing as chance) exists in the moment and day we are born, not in the card. There’s no chance in the way the numbers add up, and I don’t think chance is involved in which cards correspond with which numbers. Think of it this way: each of us is born into a particular culture, defined in part by the way we look at time and the calendar we use. In theory, our Birth Cards reflect our relationship to that. There’s no way to prove whether or not there is intent behind this, but I find that when I act “as if” there were, “as if” I were drawn to experience this life through a particular season, day, minute, then I find I can experience my life in much more meaningful and exciting ways. It enhances my life and relationships with other people. ENRIQUE ENRIQUEZ: I like your “as if” proposition. I find it very healthy to apply it every time I look at the tarot, but I also think it is useful when we consider all the intellectual beacons of our culture, like Marxism, Freudian theory, or any religion in general. Now, how can we put the “as if” in our readings, when so many clients look for certainties in the tarot? MARY K. GREER: Of course, I’m always acting “as if” the tarot can offer worth while insights to me, and as if they were magic and magic were real, because then they tend to work that way for me. The biggest “as if” for me, when reading for others, is that I act “as if” my clients have all the wisdom they need inside themselves. The question then becomes, how do I conduct a reading in a way that will actualize their own knowledge and so that they make their own well-considered choices. I sometimes suggest that clients “try on” a suggestion or perspective “for size”—and offer them more than one perspective. Then I ask how each “fits.” I want the client to always be evaluating things for themselves. I also sometimes say things I deliberately know are wrong so a client can “correct” me. It can be a way to help them realize they already know something or have made a judgment or choice inside that they hadn’t yet recognized consciously. Perhaps I over-emphasize the conditional, but I try to always remember that my own invasive judgments and proclivities may not be appropriate for another person, so I keep giving clients choices until they seem to have ended up at some kind of destination, and then I ask them if this is where they really want to be. Thus, a tarot reading can be a “dry run” or rehearsal for the future—a trying on of attitudes and approaches. ENRIQUE ENRIQUEZ: Your idea of “acting ‘as if’ clients have all the wisdom they need inside themselves” is absolutely beautiful! I think it is very healthy for a reader to assume that all clients are more or less imaginary. I know that I find it very sobering to think that, as a tarot reader, I am imaginary. So, thinking that I am an imaginary tarot reader who speaks to an imaginary client, and we, along with the trumps, are all part of a strange dream, is a delightful thing. That probably is not what you meant, but still, Thanks! MARY K. GREER: If our whole life is about acting “as if,” then we definitely have moved into acting as if life were a dream, and that’s a pretty mystical/magical and wondrous place to be. By the way, I also teach classes in “Life as a Dream,” in which we look at life events using dream techniques. After a while a person begins to function naturally within a special kind of being-in-the-world that is often mentioned by poets and mystics. Not everyone feels comfortable doing this. ENRIQUE ENRIQUEZ: Now, I suppose that a Birth Card or a Soul Card could help clients to re-imagine themselves, or even to imagine a way out of themselves. Is that right? MARY K. GREER: Definitely. And that’s where a focusing on the highest and deepest aspects of a card become important. Ultimately, I think we transcend any of these labels, but ‘going through’ them can, paradoxically, help us to do so. ENRIQUE ENRIQUEZ: Is there anything in your book for those who don’t believe in Fate nor Destiny? MARY K. GREER: Sure they can try out the mechanics and see if the results serve them in some way. I tried to leave the underlying principles open-ended enough that each person who finds the system intriguing can make of it what they will. ENRIQUE ENRIQUEZ: Do you remember, and would share, a memory of a reading you did that made you proud? MARY K. GREER: This one is from fairly early in my tarot reading career. I was visiting my younger brother and his wife and offered to do a reading for her (my brother wasn’t interested at all). I remember that I had always thought of my sister-in-law as a rather colorless, please-everyone kind of person. I don’t remember any details of the cards, but it quickly became apparent that she thought and felt deeply about things at a level I would never have guessed. When I said this, she started crying and said, “No one has ever seen that in me before.” For the first time she felt that someone else had looked beyond the surface and recognized something in her that had never been acknowledged. My whole attitude toward her shifted, and through the years she’s proven to be amazingly deep, wise and strong. I don’t often read for family and close friends, but I feel that every one of those readings has been powerful and has drawn us closer—perhaps because they’ve always taken us deep into previously uncharted waters of knowing each other. I’d also like to mention doing brief readings for several of my mother’s ninety-plus year-old friends at her retirement community. Difficulties showed up for each of them, but we faced them squarely, head-on (at that age can you do anything different?) and found a certain attitude or strength of spirit that could serve them. I felt so honored to be able to share a moment with each person that seemed to touch on the core of their being. It was like looking past the veneer that they so graciously kept up, to see them as much richer and braver beings than I had before. Old people often feel like they are not seen anymore. ENRIQUE ENRIQUEZ: I find it very hard to read for older people, because I am more interested in what they have to say than in whatever I could tell them. I always want to derail the reading and ask them things. Is there any type of client you feel uncomfortable reading for? MARY K. GREER: I don’t do at all well with people who are rigidly lying to themselves—who have created a habit of such deep denial that they daren’t let anything else through. I don’t feel I should challenge such deeply held defense postures, even when the cards show me what’s going on. If I continue the session, I find myself forced into a straightforward reading of the cards based on traditional meanings, which such clients usually reject anyway. When I realize it is not my job to ‘fix’ them, then I can move into a kind of compassion that just lets them be. Occasionally someone is so fascinating that I want to just sit and talk with them. Then I have to discipline myself to keep the focus. After all, they are paying me to help them look at a particular concern. This fascinates me because it links the act of the reading to gambling. Asking the same questions over and over, either in the same reading or over a period of weeks, has the same compulsory feeling of putting coins in a slot-machine. There is an entrancing irrationality in the whole process, and I tend to treat such irrationality as I would treat a soap bubble. I do my best at letting it float, without attempting to pop it out. I think that irrationality is the ‘Prima Materia’ of tarot readings and any other kind of divination. What do you think? MARY K. GREER: Some people, although they may not know it, are looking for a definitive sign that says, “now is the time to move on,” but they don’t know what that is, and they refuse all the ‘logical’ signs. I try to focus readings more on learning than on advice or prediction. So, although a situation may not a good one, the person may not yet have learned all the lessons necessary, or the timing isn’t right for a new direction. Of course, some people are just plain stubborn or stuck. My inner mantra is, “I don’t have to fix it.” I don’t try to solve their problems. However, indifference is a little beyond me in that I am very empathic. This is why I created “The Breakthrough Process” (discussed in most of my books), with which I conclude most readings. Basically, at the end, the client choses cards from the spread that show: 1) their major problem, block or obstacle, 2) a way to break through that problem, 3) what they most want to develop in themselves, and 4) an action that is in alignment with #3. I become a scribe writing down what they say, so it is clear the choice is in their hands. This leads to what I see as an ideal purpose for tarot: to help us meet whatever comes in the best possible way. ENRIQUE ENRIQUEZ: Finally, if this were our first meeting ever, after having this conversation, what would be the last thing you would want me to hear from you? MARY K. GREER: I’d want you to know how much I enjoy our back-and-forth conversations, even if this was more one-sided than the previous one. You notice the little things that others would overlook—observations that open me up to areas I rarely get to touch on and that challenge me to think about what is most important. Thank you for this opportunity to talk about my favorite subject. But I just had to come out of my hiding to ask you to please write about your Life As A Dream classes. The concept as such is ancient of course, but to actually examine life events from this point of view… the idea has just made my head spin – and I like it. More, please! Beautiful interview too – as always. Great minds think alike! I’m in Italy right now. Will write about Life As a Dream when I get back. Bravo! I found this post kept my attention to the end. Enrique certainly gave my intellect a good whack for a moment with “I personally prefer ‘indifference'” Yes, it (indifference) does sounds rational and enlightened. I just have not met anyone who is that rational or about reason (though I’ve met many who think they are) so that idea doesn’t translate very well into my experience. A wonderfully humane informative new interview with Mary K. Greer talking about her recently redone book newly entitled WHO ARE YOU IN TAROT? The interview not only tells us about the Birth Cards but also the nature of how Mary approaches tarot and what motivates her to write such consistently useful and informative books about Tarot. BTW I read through this title myself and it is as expected quite well crafted and full of useful ways to approach tarot. Enrique Enriquez asks some penetrating questions and we get to see a more self-reflective side of Mary K Greer. Was my FB intro to this review. “enrique enriquez interviews mary k. greer | Mary K.